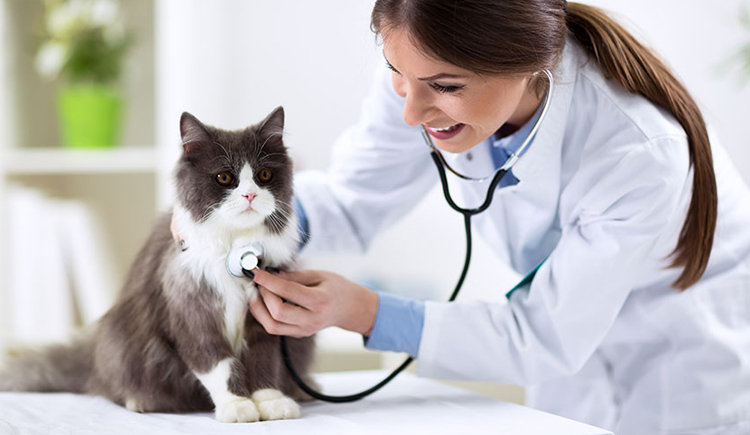 At Budgetpetworld, we are seeking to find answers for all your cat health related questions. Many times cat owners are left in dilemma with nothing into their hands to find the right answer for their cats. Our cat health experts are helping thousands of pet owners every week with their pet related issues and from those sessions, here we have come out with the most common health issues in cats, that most cat parents are concerned about. Let us decode one by one and find how it can be helpful in solving some of your cat’s problems. 1. Why does my cat vomit frequently? This is the most common one that most cat owners complain about. Licking is cat’s natural instinct and in this process, they often swallow fur, and apparently build up hairballs, that they need to relieve themselves from. However, vomiting that is bringing out food or liquid from the stomach, isn’t routine and should always be diagnosed. Frequent vomiting is something that need to be considered seriously. The causes can vary from food allergies, sensitivities, intestinal parasites, heartworms, inflammation in intestines, liver problems and many other such things. If regular vomiting is not resolved with hairball paste, it needs to be investigated further taking your veterinarian’s help. 2. Why does my cat sleep all the time? For some cat owners, too much of their cat sleeping can keep them awake wondering what makes their cat sleep so much. Under normal circumstances, an adult cat sleeps 15 to 20 hours a day, and it is considered normal if your cat is acting normal. However, if your cat has started sleeping more in comparison to her previous life style, then it should be taken into charge. Don’t mistake too much sleep for lethargy as this can have number of reasons. Low oxygen levels, heart disease, or not feeling well due to nausea or pain. Evaluate your cat’s overall life style like food and water consumption, activity level, litter box use and interaction with family members. 3. Is sneezing a sign of illness in my cat? As humans sneeze, cats too have natural tendency to sneeze to remove those unwanted foreign body. However, when sneezing become uncommon, it is a sign of some respiratory issue. Frequent sneezing can also be a sign of feline herpesvirus, which is most common during the early stages of cat’s life. However, it vanishes as a cat ages. There can be situations where some cats may carry on this to their adult stage too but results into mild respiratory problem, which usually resolves in few days. In case, lethargy along with heavy nasal discharged with yellow to green color is noticed, a veterinary visit is compulsory. As these signs are likely to represent the presence of secondary disease. 4. Why does my cat seem skinny suddenly? You may like to reduce the weight of your overweight cat in the most controlled and gradual manner. However, a sudden reduction in weight with normal or increased appetite is a sign of hyperthyroidism. The condition over ramps the cat’s metabolism, causes increased nutrient consumption resulting in weight loss. Another cause of weight loss may be diabetes. Cancer and heart disease can also lead to weight loss along with other serious problems. Take your cat to a vet to figure out the actual reason for the weight loss in your cat. 5. How come my cat is itching so much? Numerous reasons build up for scratching and itching in your pet. The most common problems may be parasites like flea and tick, biting lice, mites, fungal infections and allergies. Fleas and ticks are most common compared to mites and result into itching and inflammation. Medications like frontline plus, nexgard are effective flea and tick treatments to control scratching. However, for allergies it is quite tricky and complicated to figure out. Moreover, it has to be treated with lifelong therapy. If you still have any query related to your pet, please email us to help you in the best way. Moreover, for your every question asked we would be offering an extra discount to avail on purchase of any product from us.